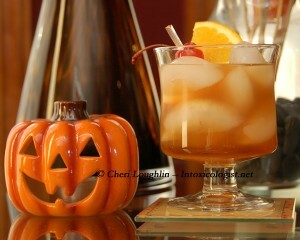 Combine 1 1/4 cups of amaretto & 2 quarts of orange juice & 1-15oz bottle of club soda. Stir & serve over ice. Garnish with orange slices.